Birds Eye’s new product launch this month are pancakes! 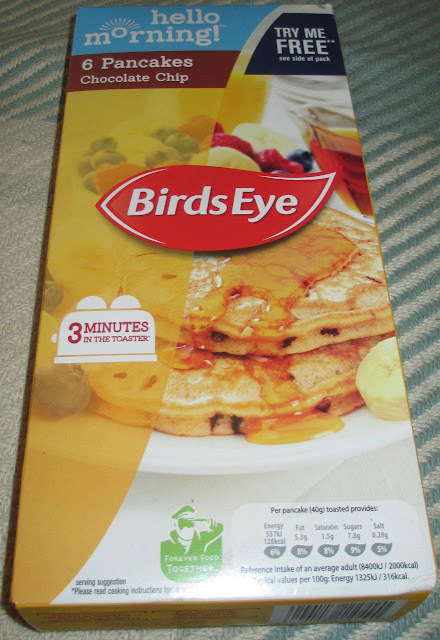 I don’t mean a ready-mix for them, these are already made pancakes, and they go from the freezer to the plate in 3 minutes (via a visit to the toaster). They have plain or chocolate chip, and it won’t take much to guess which one I picked up! These are the American style fluffy pancakes, rather than the thin British ones you might have with lemon and sugar. I love the idea of instant pancakes, they are vey convenient and are ready for a fun breakfast. I say breakfast, they are clearly designed with breakfast in mind as they have “Hello Morning” on the box, but I decided to try them out for dessert. I know, I’m a rebel right? Inside the box are six pancakes, wrapped in stacks of three. 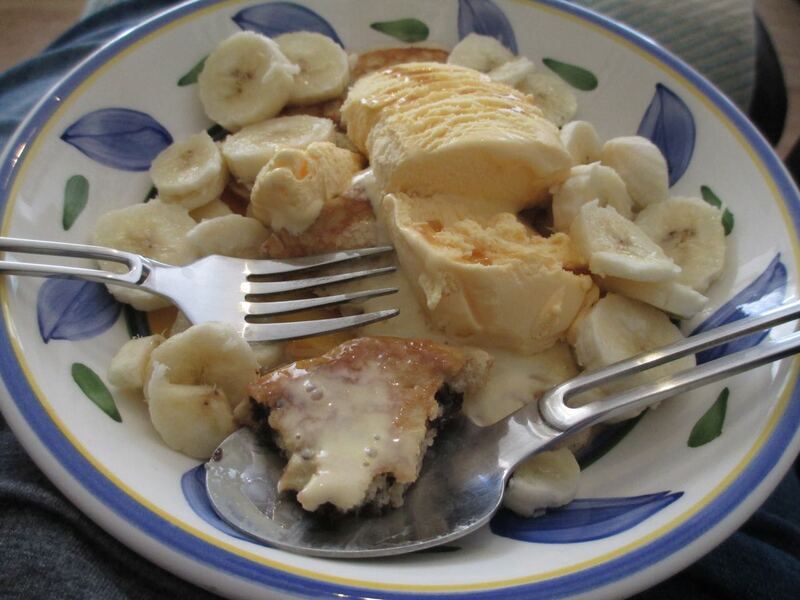 I popped a couple in the toaster for 3 minutes, grabbed a bowl, some ice cream, some maple syrup and a sliced banana. Once the toaster popped dessert took about a minute to construct. To be honest if you skipped the ice cream it would be the perfect breakfast treat too. The pancakes were throughly defrosted and actually quite hot all the way through after their brief toasting. The flavour of the pancakes was nice, they were sweet and very chocolatey. 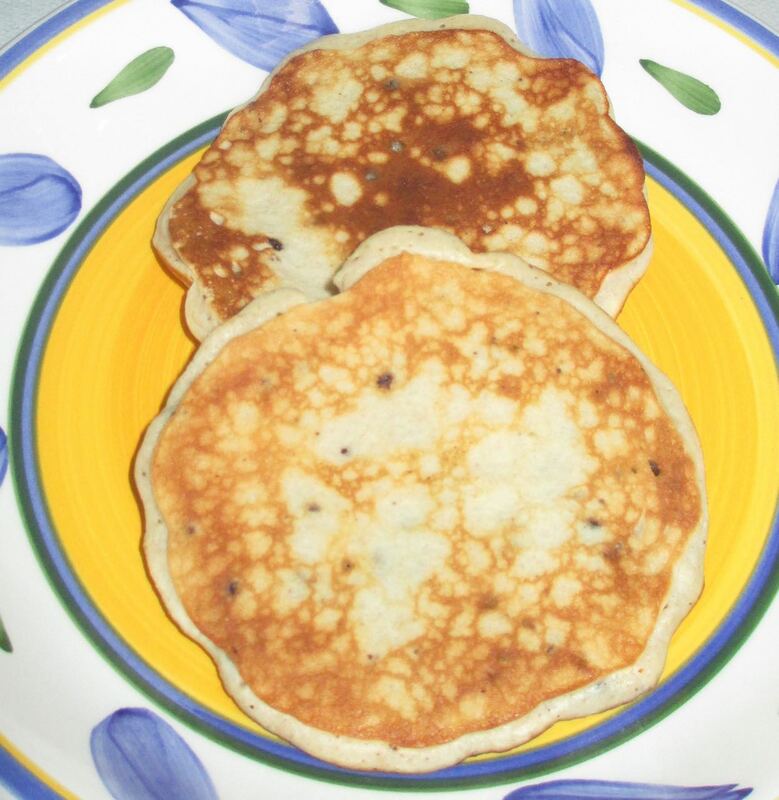 Each pancake packed a fair amount of chocolate chips, and the flavour was surprisingly dark and rich. The pancake flavour tasted almost cake like, with its wheat flavour and vanilla base. The added additions went perfectly with the pancakes and made a gorgeous pudding, and it was so very quick to put together. 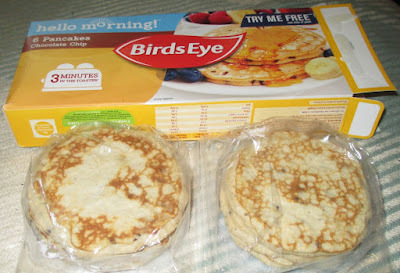 I thoroughly enjoyed these new pancakes from Birds Eye. They are a must for the freezer, for a quick pancake treat.